Supreme International manufactures and designs of premium feed processors. Their vertical processors have revolutionized the livestock feeding industry. As a result, they are an industry leader in North America. Supreme’s mixers increase efficiency, thus lowering costs and increasing gains. Connect with Supreme products by calling Hanlon Ag Centre today! 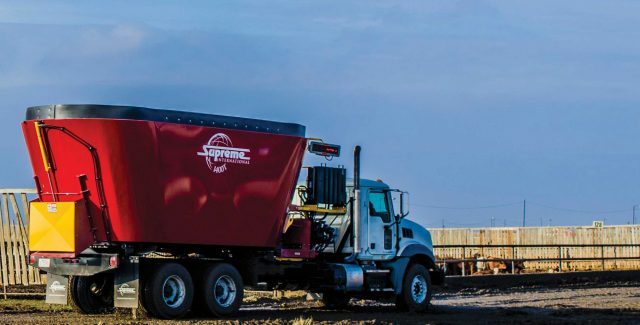 Improve your feeding operations with a custom-built Supreme feed processor. Supreme's processors are equipped with industry leading technology and are valued for their quality, durability and performance.